Step into the magical world of a snow globe for a fabulous photo opportunity. 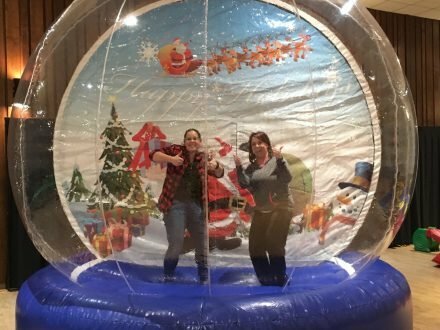 This one-of-a-kind 15′ inflatable snow globe is made of clear vinyl and features an attached igloo that serves as an airlock so that guests can enter while the globe is inflated. We have other themes available.